Last year US Customs crushed a Land Rover Defender in a video posted around the web. Now there are reports of up to 40 more Land Rovers being seized by DHS. 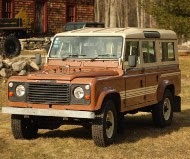 According to the National Review, Bill and Jennifer Brinkley had a 1985 Land Rover Defender seized. Even though the owners claimed the vehicle was over 25 years old, DHS says the VIN had been altered on the vehicle. From another report, Patterson Auto Sales in Wilmington, North Carolina was the common link on these 40 seized vehicles. Like many of the old importing stories, someone gets away with something, and then they do it over and over. Eventually they get caught. Once they are caught, it isn't difficult to figure out all the vehicles that this person or business imported. In this case again, the 2nd or 3rd owners are the ones getting screwed. They are the ones losing both their money, and their vehicle. Some people may not have known the vehicles were later model vehicles, many people buying the cars probably did. Forty Land Rover SUVs have been taken away from owners around the country by armed federal agents descending on private property with overwhelming force. Agents for Homeland Security Investigations last month wrapped up the seizure of forty vehicles pursuant to a sealed warrant issued in May. The agency insists that there were discrepancies with the VIN numbers for cars imported by Aaron Richardet at Patterson Auto Sales in Wilmington, North Carolina, and that the Land Rovers violated Environmental Protection Agency (EPA) and US Department of Transportation (DOT) standards. These regulations do not apply to cars that are at least 25 years old, but owners of the grabbed vehicles had no chance to present a defense before their SUVs were taken. The owners were only given until June 23 to file a formal contest to the seizures, which they could not have done because the court did not unseal the case until July 16. US District Judge James C. Fox denied a request to give owners more time to contest the seizure of their property. Chris J. Benway paid $11,000 and invested another $23,607 in upgrading and servicing his blue 1984 Land Rover, which agents grabbed from his property on July 15. "We cooperated fully with the forfeiture and will continue to cooperate," Benway told the court. "However, I do not believe this vehicle was imported illegally due to its being 25 years old at the time of purchase, and we have not seen any evidence of VIN tampering on the vehicle." The government argued that the imported cars were actually 2000 model year and newer, and therefore subject to the EPA and DOT regulations. Daniel M. Harrington, an owner who wants his 1983 Land Rover Defender back says the government claim is nonsense. "A basic visual inspection of the vehicle reveals that the same was manufactured far earlier than 2000," Harrington told the court. 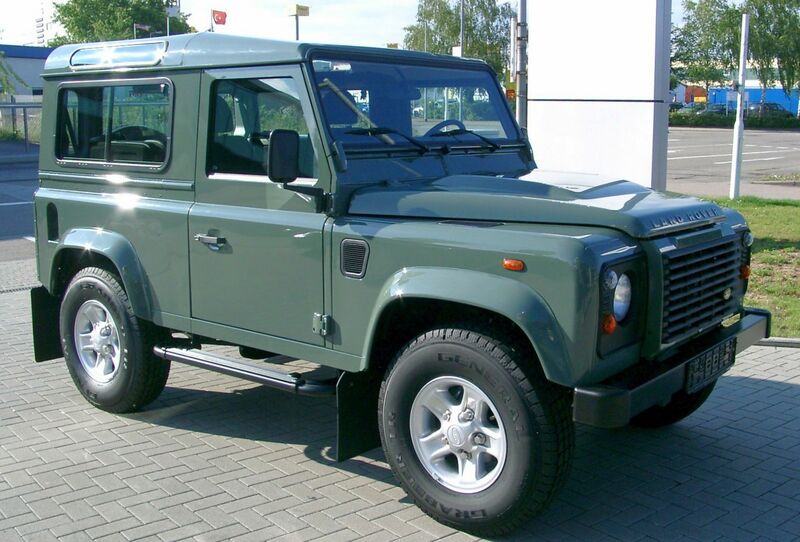 "I was advised that the Land Rover Defender YIN: [...] was manufactured in 1983 at the time I purchased it. My visual inspection of the vehicle reinforced this information as the vehicle exhibited correlative signs of aging and the vehicle's features were consistent with the features of Land Rover Defenders manufactured in 1983. Additionally, I had the vehicle examined by an expert in the field, who confirmed that the Land Rover Defender VIN [...] was manufactured in 1983." Department of Homeland Security Special Agent Christopher M. Feldman said that he inspected the "non compliant" vehicles and found discrepancies in the Land Rovers imported by Patterson Auto Sales. He presented his findings to the court. "The chassis was galvanized and Land Rover has not manufactured Defender vehicles with a galvanized chassis," Feldman claimed. "The engine was a 2.5 TDi 5 cylinder (Storm) engine, manufactured from 1997 to 2007, which cannot be retrofitted into a 1986 Defender Station wagon chassis; the vehicle color does not match the original Venetian red; a number of interior and exterior features were not introduced into production until significantly later model years." Richardet, the importer, had explained the discrepancies to the Customs and Border Patrol agency in an email two years ago. "The truck was taken down to the frame," Richardet wrote. "It was sand blasted then galvanized to prevent rust. The doors are prone to rust are scrapped and swapped out for newer ones. The old dashes have been out of production since 2004 so the newer dash is used if the old one is bad. The restoration shops try to make modifications and upgrades to the trucks to make them safer and more user friendly. Just like restoring an old Camaro old parts get junked and newer go one. I hope he will see that. All those parts are available from Land Rover and the truck has changed so little you can bolt them right on."